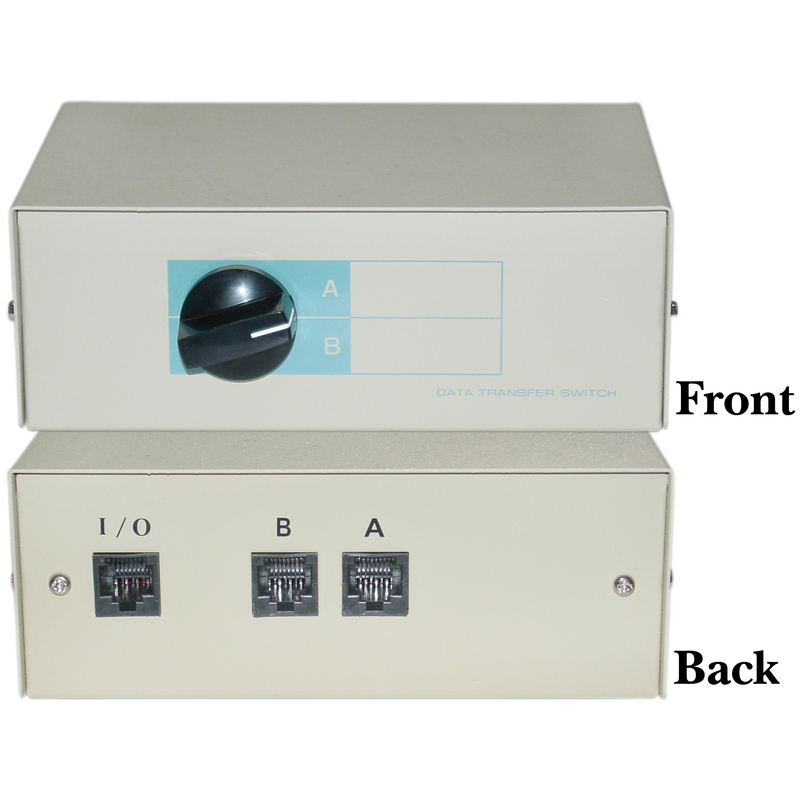 Our premium-quality 2-way telephone network A/B switch box converts back and forth between RJ45 female ports. The inside components are housed within a sturdy case that is beige in color and consists of a 0.8 mm thick metal shell. Contact is secured in the RJ45 female input with gold flash-on contacts, which allow for excellent conductivity and minimal corrosion. The data transfer switch is clearly marked with A and B, and is easily handled. Our A/B 2-way telephone switch box weighs in at a compact 1.25 pounds and boasts a 26 AWG wire gauge. This is the third Switch Box I've ordered over a period of time. Each one was excellent in quality and performance. Switch box works great and was priced fairly.